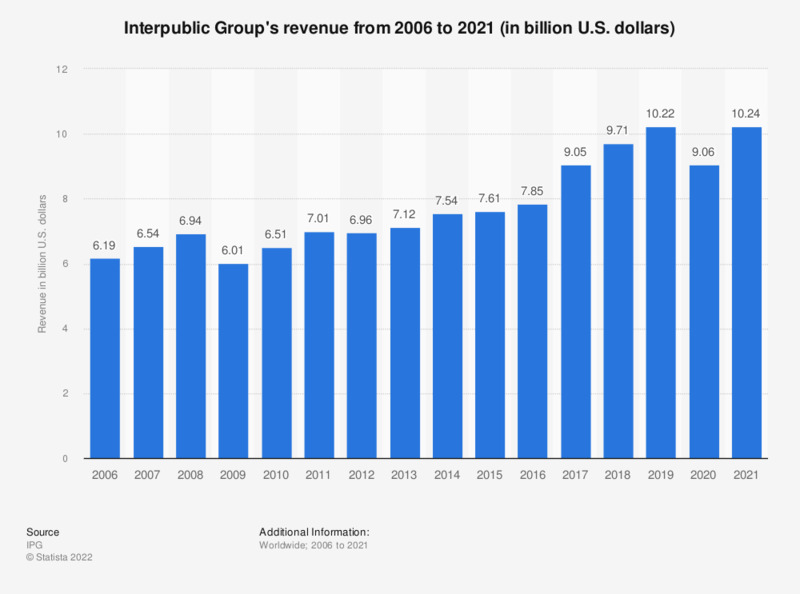 This statistic presents the global revenue generated by the U.S. advertising giant Interpublic Group from 2006 to 2018. In 2018, Interpublic's global revenue was 9.71 billion U.S. dollars, up from 9.05 billion a year earlier. Figures for the years 2006 to 2014 come from IPG's earlier financial releases.